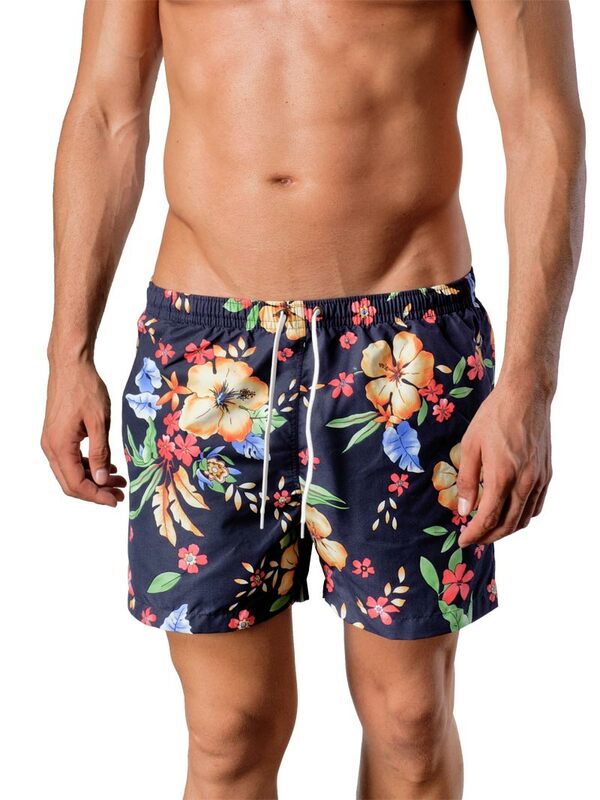 When you wear these exotic Geronimo 1405p1 Black swim shorts, you'll feel as if you're sipping tropical cocktails on the sands of your favorite island, even if you're still in your own backyard. 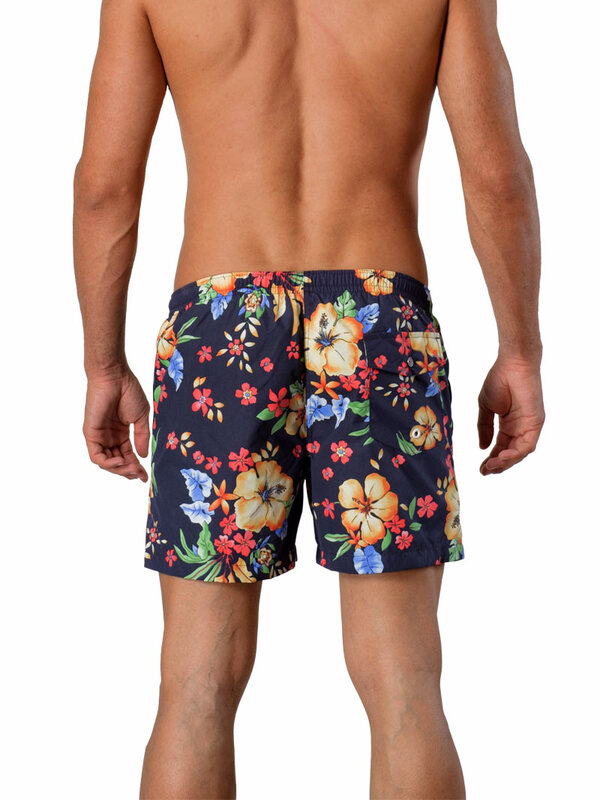 Combining Geronimo quality construction with a unique Hawaiian print, these swim shorts are the perfect balance of prestige and fun. The swimsuit feature a mesh support brief, two side pockets and a back pocket with lid. They are made with an incredibly quick drying fabric, so you easily transition from water to sand and back again.